In recent years, marketing has evolved from rudimentary billboards and newspaper ads to accommodate the digital world we currently find ourselves in. Digital marketing. content marketing in particular has been become the cornerstone marketing strategy that many businesses have come to embrace. Various content marketing trends are incorporated by businesses both big and small to help build rapport and instill trust within their audience. 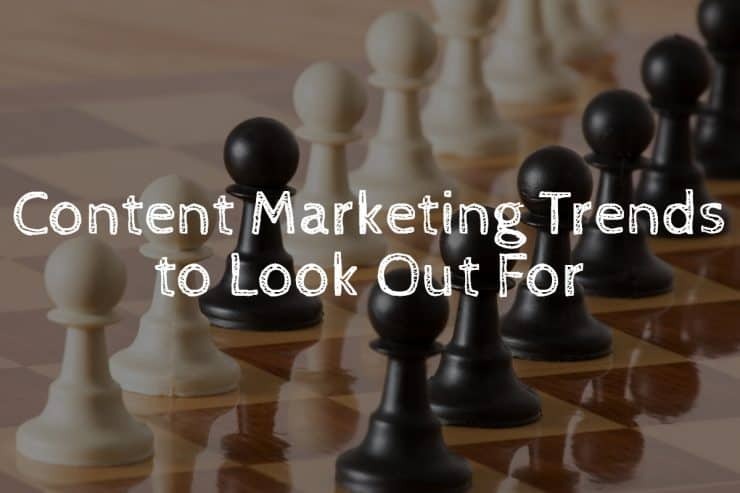 Content marketing trends are quick to unfold, and in order to stay competitive, your business needs to understand them and apply them accordingly. Months are quickly winding down, and 2019 is just around the corner. What can we expect from content marketing and what trends to look out for in the upcoming year? It’s not a secret that search engine algorithms are changing quickly. Google – the search engine industry leader – has been rolling out alterations to their algorithm on a monthly basis, sometimes ever more often than that. Social media platforms are becoming search engines in their own right, connecting users to groups, images, and photos that meet search queries. Staying up-to-date with SEO developments can make or break your content marketing strategy. After all, it’s in your best interest to create content that favors not only the audience in question, but the search engines too. As we progress forward into the future, SEO strategies that we come to learn and appreciate may become irrelevant. What was once an effective way of increasing search engine visibility, tomorrow could work against you. Older content may have to be restructured and re-optimized in order to meet the needs of amended search engine algorithms. One great benefit of content marketing aside from its ability to reach a huge audience, is the data gathering opportunities. Data has become a big player in cultivating appropriate marketing strategies and effectively engaging the audience. In recent years, marketers have begun spending more on technology that can effectively bolster their promotional efforts. Bigger portions of B2B marketing budgets are being allocated to technology that gives companies the ability to understand audience better, and in turn create a more formidable content strategy. Let’s look at some concrete evidence of marketing budget trends. As you can see, invoking the help of technology is becoming more mainstream. 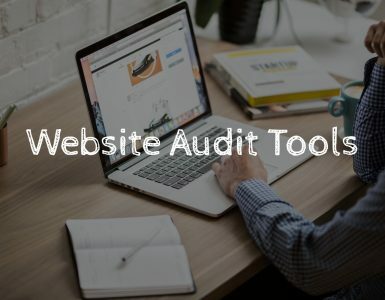 With marketing tools under your belt, gather valuable insights and metrics that give you an inside look on how consumers behave on the web. While moving forward with your content marketing, you will be more adept at formulating an effective content “bread crumb trail” which will guide your audience through the buyer’s journey without hiccups. Artificial intelligence is no longer science-fiction and can in fact be used to fortify your content marketing. Marketers have begun utilizing AI to modify their content approach and shape their interaction with the audience on the web. Experts suggest that in 2019 and years following, AI will penetrate the marketing sphere even further. Content ideas can be tailored and curated with artificial intelligence in tow, leading to more prominent development of content that resonates with the audience. Insights on engagement and content performance will work in tandem with AI to further bolster the content creation process. Humans are not out of the picture just yet. Artificial intelligence isn’t here to replace human input but to create synergy between the two forces. Emails have been a favorable lead generating tool employed by marketers world over. It’s personal and can convey an array of messages or promotions with relative ease – especially if email automation tools are in play. Cold emailing – that’s out of the question. With GDRP in effect in the European Union, it caused a paradigm shift in how email marketing should be utilized. 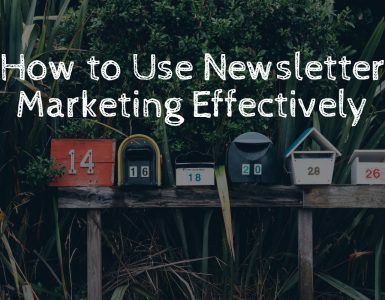 Unsolicited emails are not as viable and can actually hamper your overall marketing efforts. It’s in your best interest to interact with your audience and make them aware of your existence prior to the first email. Emailing individuals out of the blue – without first contact and explicit consent – can get you blacklisted in the eyes of the recipient. It could also land you in legal trouble if you’re cold emailing a recipient in the EU due to the new GDPR regulations. Future of email marketing is all about generating desire to receive emails and hyper-personalization. All the effort put into email marketing won’t generate results if you continue to choose the route of quality over quantity. 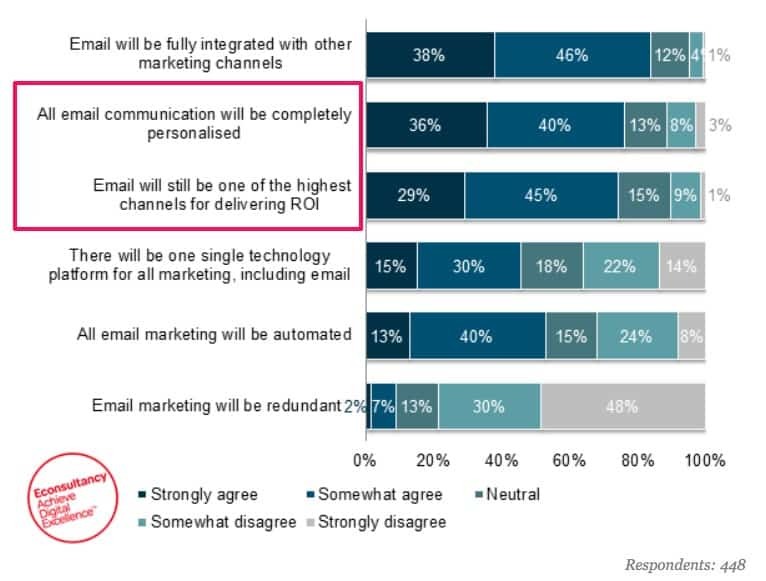 Prediction for email marketing in the future. Data gathering in conjunction with technology, will help you achieve desired email marketing results. Analyze your audience – demographics, income, education, browsing habits – to formulate email lists accordingly. This way you can create email content as well as subject lines that match specific needs and pain points of the recipient. Our attention span doesn’t have the best track record. There are proponents on both sides of the coin suggesting short and long content is what people crave. A heated debate has arisen between psychologists and content producers alike, in hopes to pinpoint the best vehicle which relays information across to the content consumer. We have more access to information than ever before, but how it’s presented can and should vary. The way we go about producing content needs to reflect content consumption trends. Relevant information can take variety of forms that suits the needs of your audience – podcasts, infographics, eBooks, white pages. Blogs are also a great content medium that can incorporate multiple aforementioned content types. As we move forward into 2019 and beyond, content marketing trends will play a pivotal role in how information is gathered and presented before your audience. Perhaps short form content becomes more brief than today and long form content could span many more pages than your current eBooks or white pages. A well tailored content experience can foster trust and build reputation that resonates with the audience for years to come. The usual online ads and mass-produced marketing tactics are becoming increasingly overlooked and ignored by internet users. People want an authentic brand experience that they can relate to – this can all come from well-thought out content creation. Users around the globe exhibit increased aversion to advertisements. 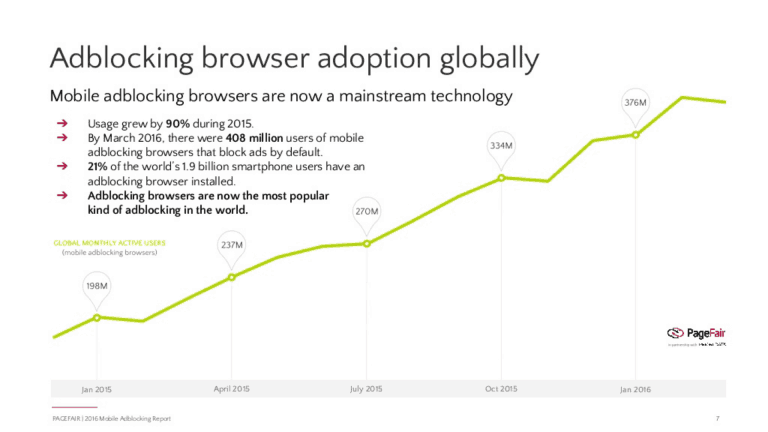 In the United States for example, ad blocker usage has doubled from 15% in 2014 to 30% in 2018 – the numbers have no place to go but up in the future. Building trust and providing value is where content marketing can show its true strengths. Content cannot be ignored, especially if it’s personable. Content is sought after if it solves a problem by providing solutions. Partnering up with trusted influencers has also been proven to be effective for many businesses. A trustworthy internet celebrity has an established relationship with an audience – there is an existing mutual trust and camaraderie. As someone looking to promote themselves, invoking the help of an influencer can bridge the gap between your product and the audience with minimal investment into the ‘trust’ factor. Everyone I know uses a phone more often than they use their desktop or laptop computer. Whether it’s watching videos, trying to find a new restaurant, or online shopping – everything is shifting towards accommodating mobile devices and their users. The statement above is not just an anecdote – it’s a fact. More users are accessing internet through their phones than the conventional laptop or desktop computer. It makes sense. The portability factor and the hardware within the device being inline with low-end computers gives us the ability to view anything on the internet at any time. This trend shows no signs of slowing down either. In 2016, 57% of internet users accessed it with a mobile phone. In 2017, 63% of internet users accessed it with their mobile device. These numbers will only continue to grow as mobile technology becomes endowed with even better hardware and software. And I am not even going to dive into the addictive properties phones possess which make turning the device off almost impossible. Your content has no room to lag behind the upsurge in mobile technology. However you choose to deliver your content, it needs to be accessible, and tailored for mobile technology such as tablets and phones. Main mediums for content delivery where mobile accessibility will play a huge part are blogs and websites. Unlike social media platforms such as Facebook, YouTube, Twitter, etc, that have dedicated apps for easy mobile access, websites and blogs rely on your own development to optimize for mobile user experience. The ball is in your court. In this regard, it’s up to you to cater the content you create to the mobile consumer. If you haven’t already, be sure to go over your blog and website to see if the pages perform well on mobile phones and tablets. Optimizing your personal content platforms also plays a huge part in your SEO efforts. Search algorithms favor content that is located on platforms which are optimized for a fluid mobile experience. An individual is searching for a topic. You have volumes of information pertaining to that specific topic on website that isn’t mobile friendly. Guess what? Your content won’t show up in the search results. All the other content that is just as relevant AND mobile-friendly will be prioritized over you, no matter how good your information is. Imagine how much online traffic would bypass your pages if they don’t cater mobile users – all those potential leads…gone. Video content has become all the rage. 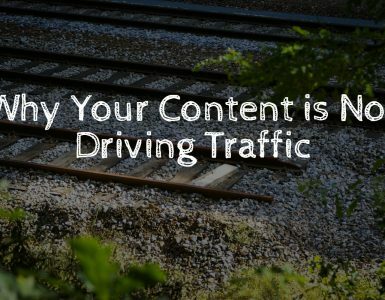 Businesses can board this content train since it’s not slowing down anytime soon. Videos on social media amass 1200% more engagement than text and image based content – combined. You can start producing and publishing quality video with very minimal investment. Your phone camera is good enough to get some quality recording done – just try to stay indoors as the wind may negatively impact the sound quality. The webcam located above your laptop screen will suffice when it comes to live-streaming seminars or Q&A’s. Instagram, Facebook, Twitter, YouTube, Vimeo and other platforms are all good solutions to host the video content you create. They possess a well-established user base – not to mention the fact that you’re probably active on at least one of those platforms. Uploading videos and hosting live-streaming sessions is a great way to engage the audience on an even more personal level. It can be easier to articulate various topics, proof-of-concepts, walk-throughs by creating a video. Your videos can even work well in conjunction with blog posts or website updates. Video format will only become more relevant in the future – don’t be shy, start recording.